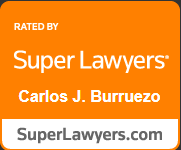 Carlos, a seasoned attorney in the labor & employment field, has been practicing law for nearly 28 years. His experience includes tenures at several national employment and labor law firms, having served as a partner at Jackson Lewis, LLP, a founding and Managing Partner of the Orlando Office of Fisher Phillips, LLP, and founding and Managing Shareholder of the Orlando Office of the world’s largest labor and employment law firm, Littler Mendelson, P.C. Carlos also has experience handling complex commercial, business and general civil litigation matters before state and federal courts. Carlos’ professional experience is complemented with his role as a Circuit Civil Certified Mediator and arbitrator. The combination of Carlos’ extensive knowledge of the law and thoughtful demeanor serve as a powerful tool in successfully resolving even the most complex issues in cases. Carlos was born in New York City, New York. Carlos’ father, also a New York native, had Cuban roots. Carlos’ mother, born in Lajas, Puerto Rico, spent her early years in Mayaguez, Puerto Rico. At the age of 22, she moved to New York City in search of professional and economic opportunity. Upon arriving in New York, she enrolled in English classes and Beauty School, eventually opening several beauty salons in what is known today as “Spanish Harlem.” After many years of entrepreneurship, Carlos and his family moved to the Ocala, Florida area in the late 1970s. From 1982-1986, Carlos attended the University of Florida, where he graduated with a Bachelor of Science in Journalism & Communications. Three years later, in 1989, Carlos graduated from the Ivy League’s Cornell University Law School.